Hi guys!! 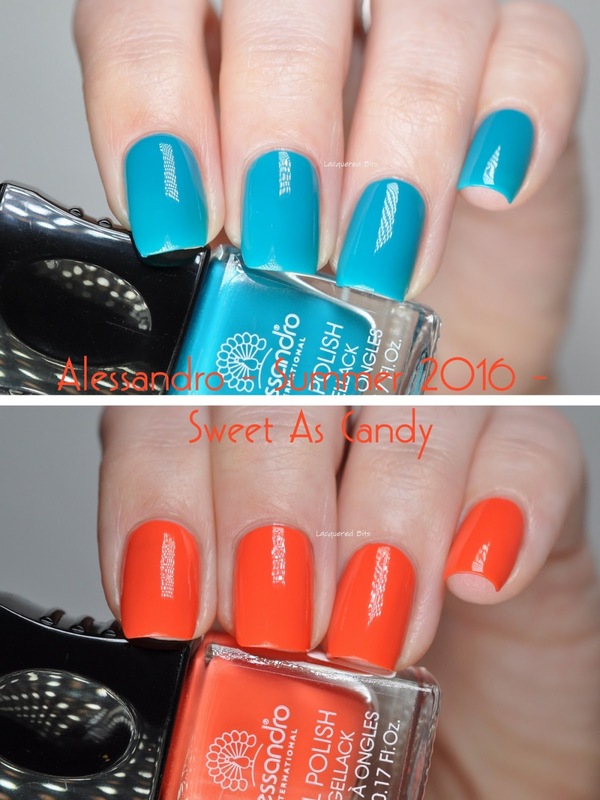 Today I have swatches of two beautiful polishes from Alessandro Summer 2016 Sweet As Candy Collection* for you. They were sent to me by Nina from E-kozmetika.si, an on line store and retailer for Alessandro in Slovenia. These two polishes both have an amazing formula, they went on like a butter. But I am going to tell you more in a bit. 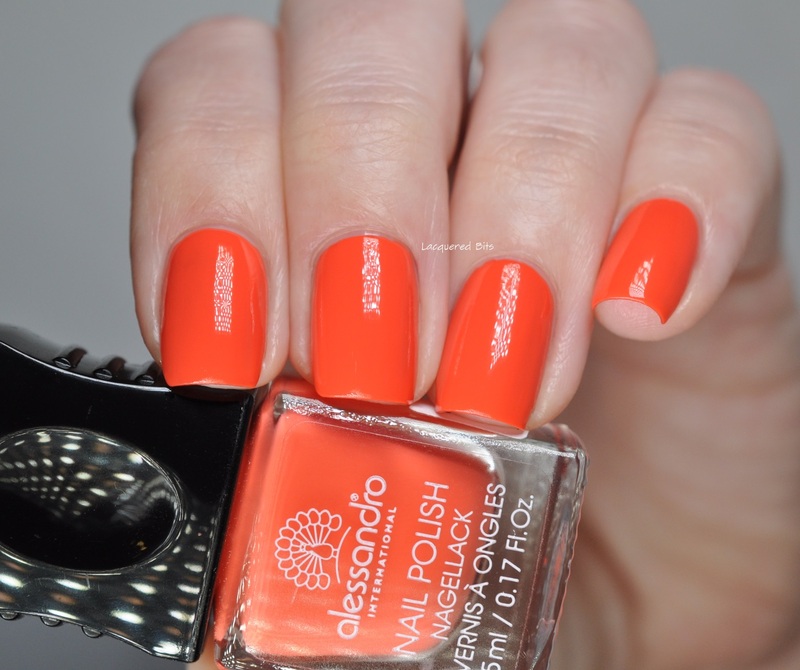 As you can see in these two photos the polishes look like they are two different ones, but they are one and the same. I edited the first photo to look more like an actual colour. But it looks muted so I left all the other photos untouched for you to see the actual freshness of the colour. 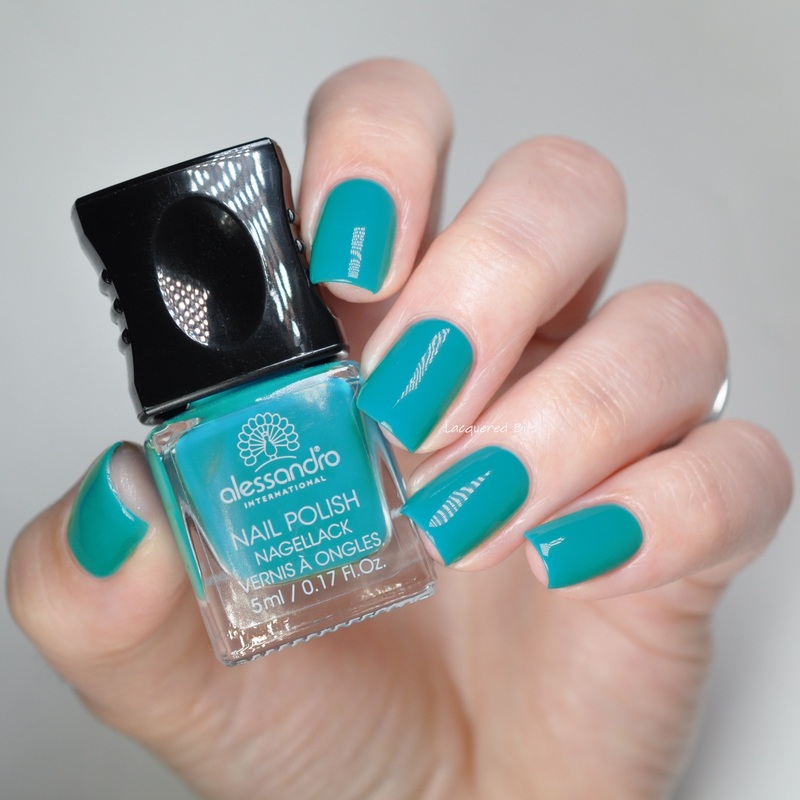 It is a gorgeous teal colour that looks so fresh on the nails, but my photoshoping skills aren’t great, so I muted the colour in order to make it look more like the true colour. I get really frustrated when polishes turn out differently on photos than in real life. I don’t know what it is with these blue pigments, but sometimes they can be very annoying :). Well, anyway, it has a jelly finish and a very easy application. The round edges at the cuticles were made effortlessly and there was barely any clean up after the application. It was opaque in two coats. 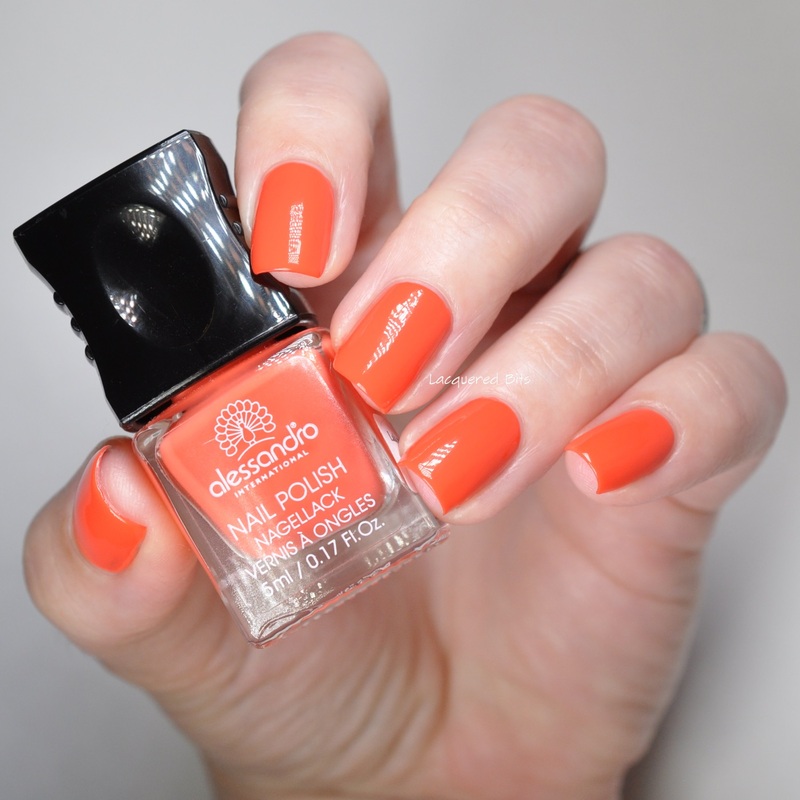 I love the fact it is a jelly polish because the finish makes the colour look soo fresh which is perfect for hot summer days. 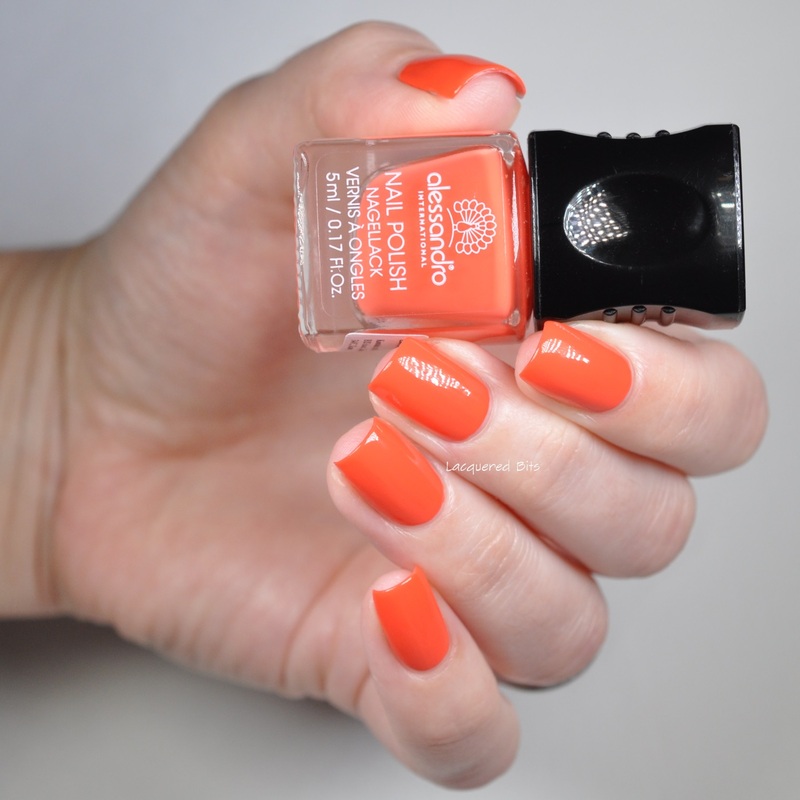 Oh my, it’s a perfect orange/coral neon shade for the summer and it is definitely coming with me to my summer vacation! 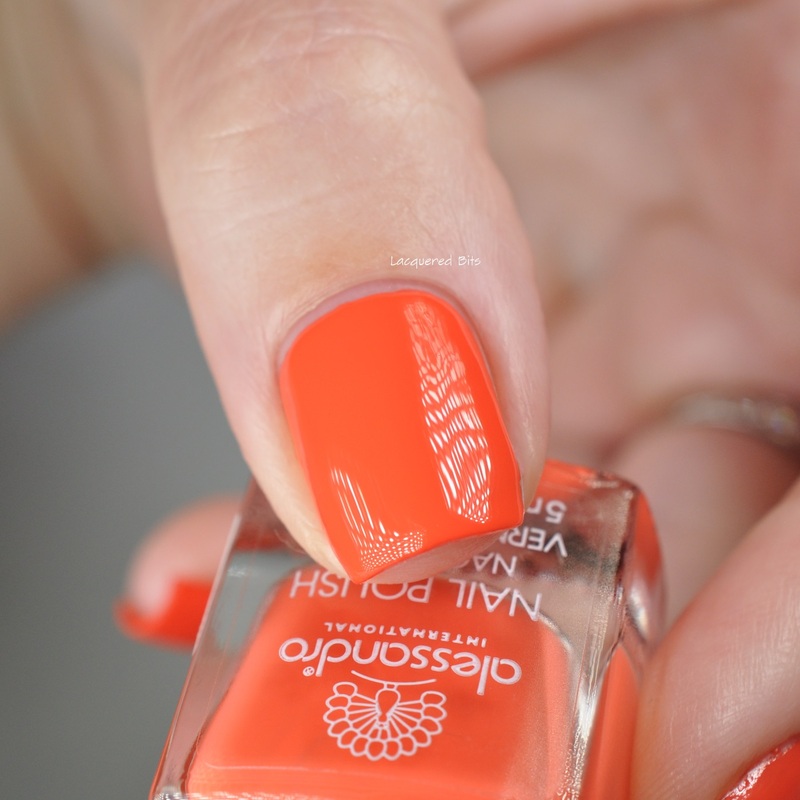 It is a crelly polish and you can make it opaque in one coat, but two coats will make it more vivid, the colour will pop. The application was easy and it has a perfect formula. 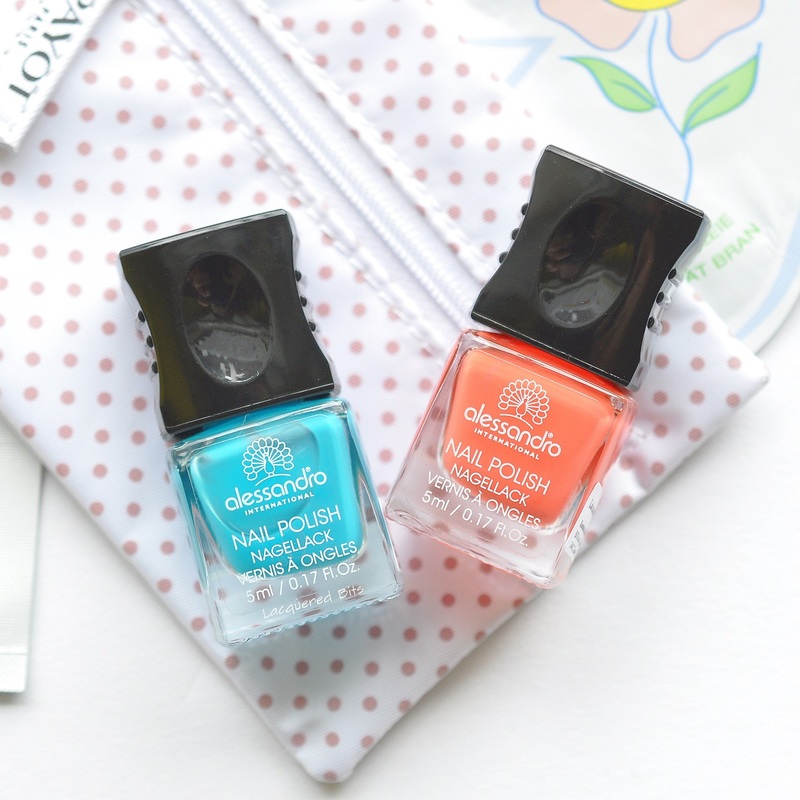 You’ve probably noticed I was totally impressed with the two polishes I got for a review. And I need to tell you that I am not praising them because I got them, but because they really are AMAZING! I hope you enjoyed the review and see you in the next post.